‘Nano-tweezers’ create electric fields capable of trapping single molecules and extracting them from living cells, which means that scientists can now perform biopsies of single cells. Detecting single molecules from inside cells is important both for understanding the fundamental biology of how a cell functions, but also for developing techniques for early diagnosis and potentially even patient-specific therapies. Doctors perform biopsies by taking a sample of a tissue and then examining it in order to assess the health of a patient. But several diseases might be the result of small changes at the single cell level. A cell is a complex system and as Alex Ivanov, a researcher from Imperial College London, says, “a lot of biological processes happen at very low concentrations.” Some of the important molecules inside a cell exist in such small quantities that they are difficult to detect. Traditionally, cells are burst open to reveal their contents. However, this destroys the cells and a lot of important information, like the location of molecules within the cell and how a cell changes over time, is lost. To overcome these challenges researchers have developed a new tool called ‘nano-tweezers’, which was announced this week in a study published in the journal Nature Nanotechnology. These miniscule devices are minimally invasive and can pick out individual molecules from specific locations inside the cell. “What is important here is that we can extract single entities, one at a time, and the cell remains alive,” says Joshua Edel, another author of this study. The ‘nano-tweezers’ are about 100,000 times smaller than the tweezers you might find in your bathroom. They are formed from a glass rod, which is heated and snapped to create a sharp tip with two hollow chambers. The chambers are filled with a carbon-based material much like graphite to create two tiny electrodes separated by a small distance. 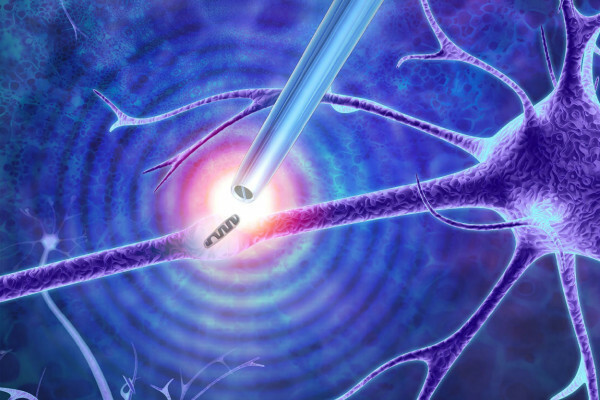 In addition to extracting molecules from cells, the ‘nano-tweezers’ can also be used in reverse, meaning that things can be delivered into the cell. Therefore this new technique can be used to study living cells and in particular it will enable scientists to study what happens to cells when components are added, removed or rearranged inside them. This offers exciting potential to better understand how healthy cells function and what goes wrong in diseased cells.